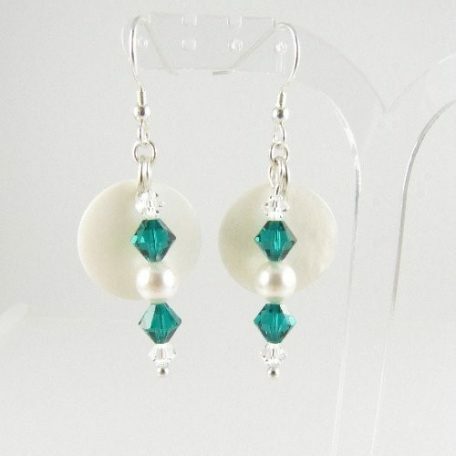 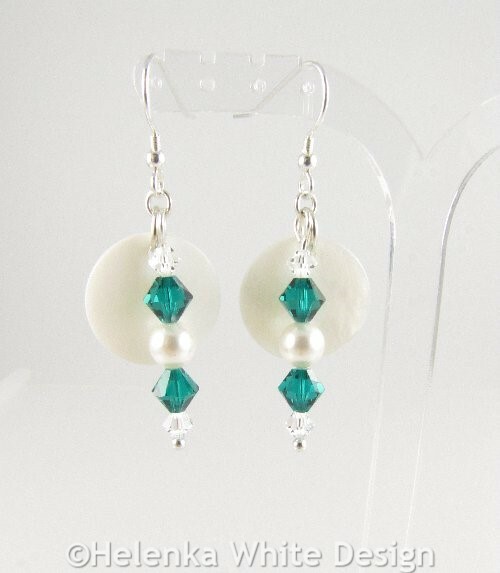 If you love Mother-of-Pearl, the colour green and want to add some sparkle to your wardrobe – then these round Mother-of-Pearl earrings with green Swarovski bicone beads might be just what you are looking for. 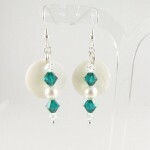 1 pair in this colour combination is available. 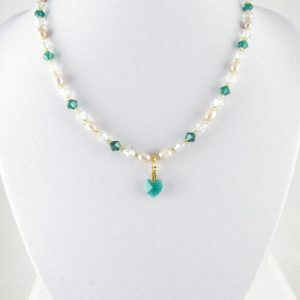 However this design is also available in light Siam. 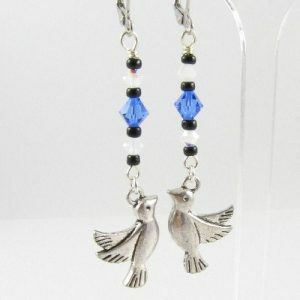 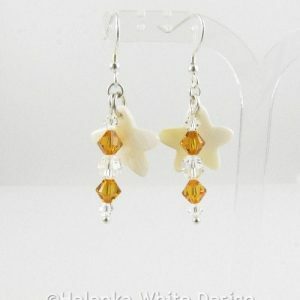 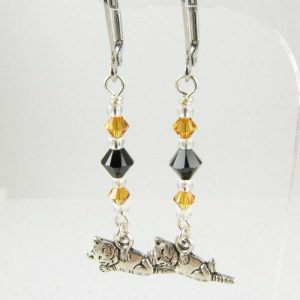 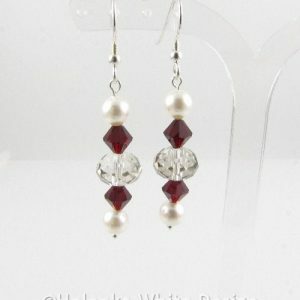 Handcrafted siam Swarovski crystal earrings. 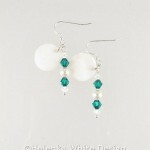 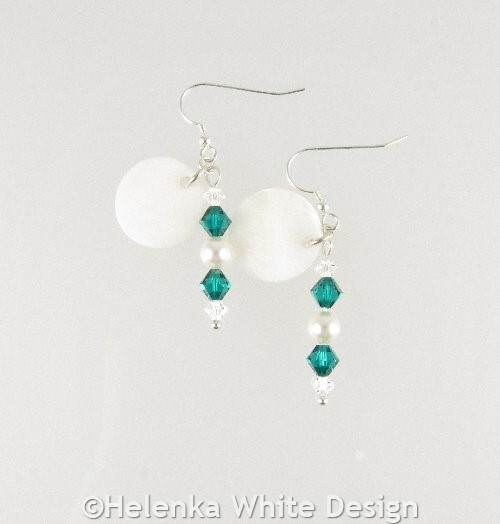 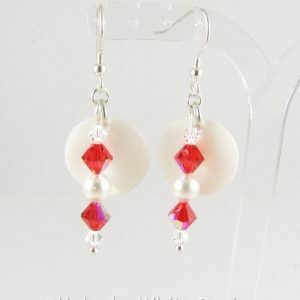 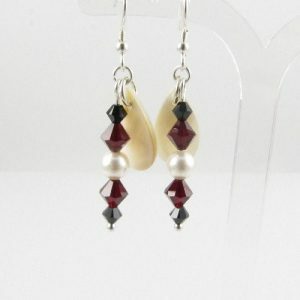 Made with siam Swarovski crystals, white Swarovski pearls, a clear crystal and Sterling silver wire.